NEW YORK, October 28, 2014 — On October 28th, Global Finance presented The World’s Best Internet Bank Awards at its annual gala awards dinner at The Harvard Club in New York City. A full report will appear in the December 2014 issue of Global Finance. Round 1 winners previously appeared in the September 2014 issue. 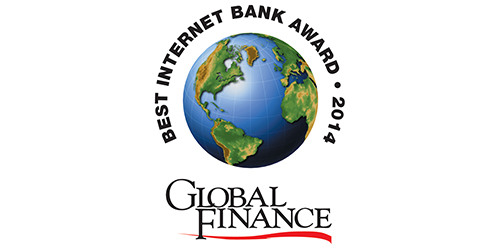 Global Finance’s World Best Internet Bank Awards are based on submissions from banks that wish to be considered. This year, 293 individual banks from around the world entered the competition. Representatives from Infosys, a global leader in consulting, technology and outsourcing solutions, comprised the judging panel. Based on the judge’s evaluations, Global Finance’s editors made the final selections. The full list of Global Finance’s World’s Best Internet Banks 2014 follows PDF download below. Click Here For a listing of our Regional Winners.